Item number Na1549 from the MOA: University of British Columbia. 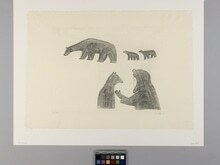 Print depicting a large bear followed by two small bears in the upper half of the image, and the upper torsos of a bear facing a person with an arm outstretched towards the bear in the bottom half, to the right-hand side. Below the image is written, "36/50 Pauta." 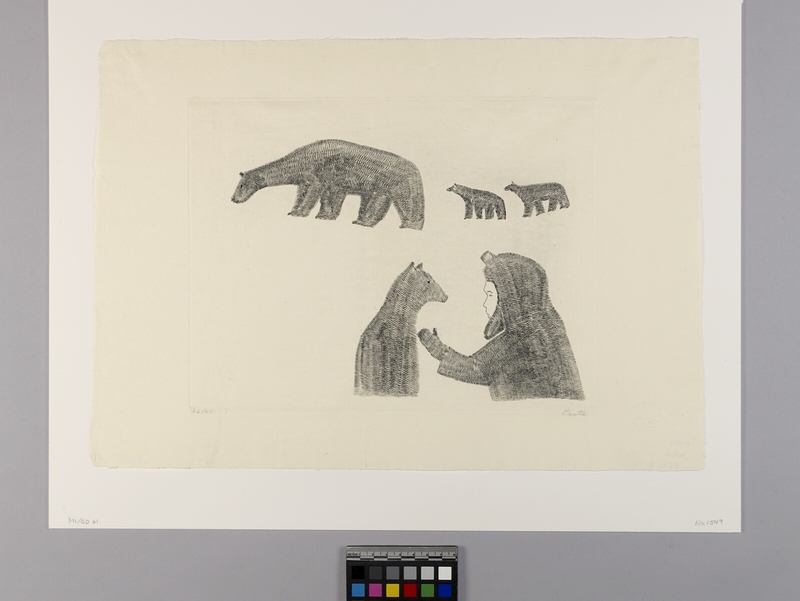 The Canadian Eskimo Arts Council blind embossed stamp is in the lower right-hand corner.